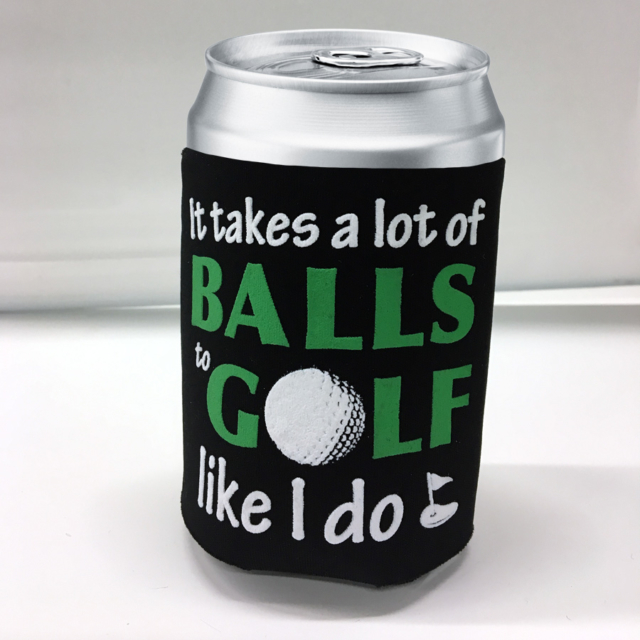 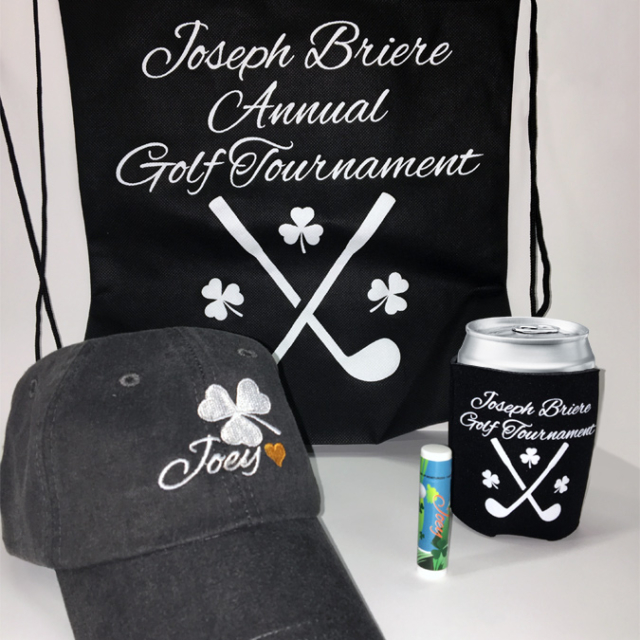 We have been providing promotional items for the Annual Joseph Briere Golf Tournament for years. 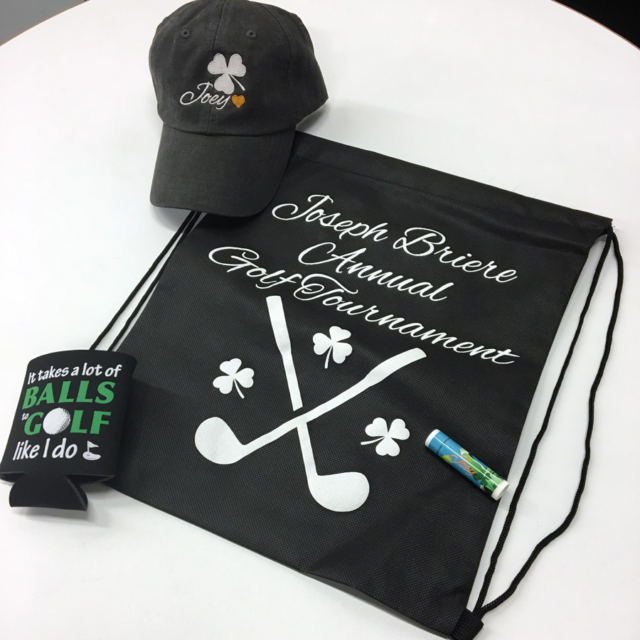 This year we provided backpacks, lip balm, koosies and embroidered baseball hats. 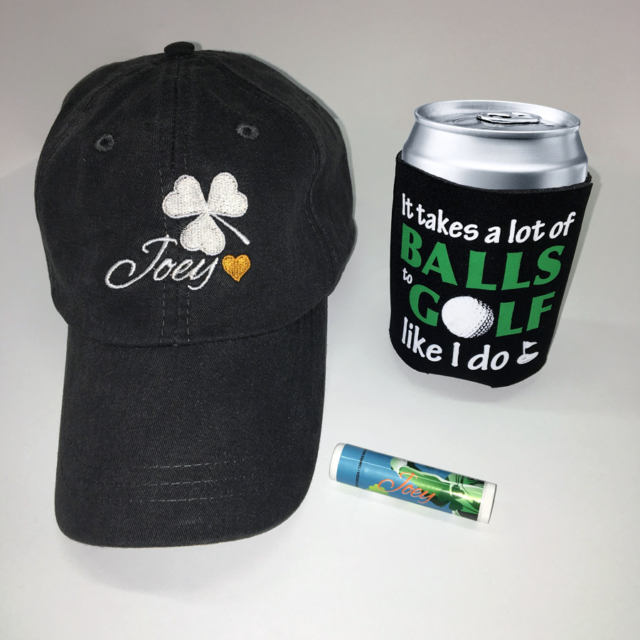 In the past, we have supplied water bottles, ice packs, key chains and phone credit card holders all showing the “Joey” logo.